It’s true – I’ve been blogging for almost five years and even though I’ve thought about it lots of times, I’ve never actually participated in a blogger linkup! So here goes nothing. 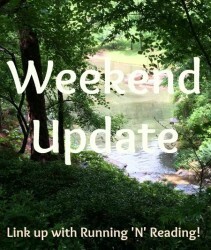 I’m linking up with Running ‘n Reading for the Weekend Update. It’s a little sad, really, that this is my first link up, because my weekend was sort of on the boring side. Saturday started out, as Saturdays do, with getting up early and putting in a little work. The bootcamp that I run has a Saturday 6 am workout, so I am up and getting ready pretty early. 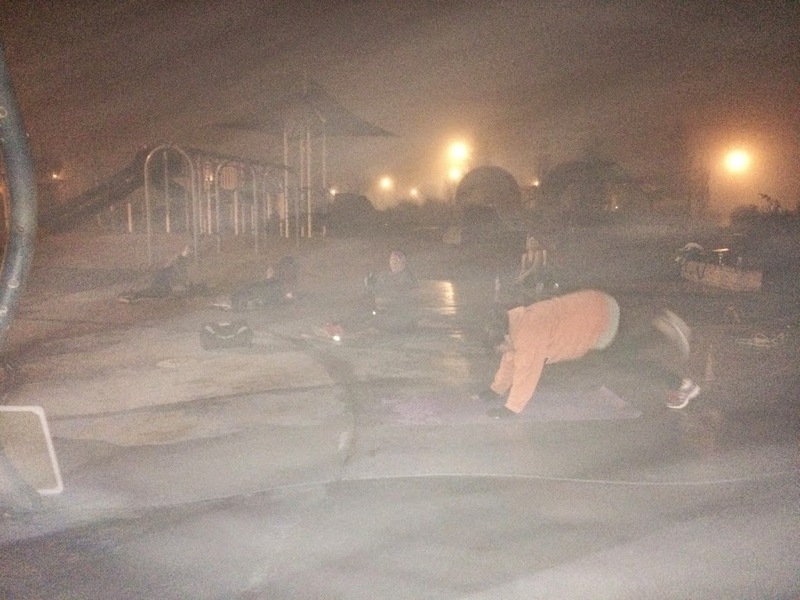 It was a grey, chilly, foggy morning, so I wasn’t super surprised at a low turnout and slow moving bodies. But we still managed to work up a good sweat. This was how misty is was with my flash on! After Sweat Camp, UltraIronHubs and I took the boys to visit a semi-local (about an hour away) college campus. The reality of college hunting is starting to freak me out a little. And by a little, of course I mean a lot. Big Boy is going to college Next. Year. Not next school year, but next calendar year, 2016. How did this happen? I didn’t even take this one, I totally stole it from his phone. Don’t tell. After the brief self-directed tour, during which we all decided that the school wasn’t really a contender, we were home again, home again jiggity-jig, to get ready for a party at my sister’s house. 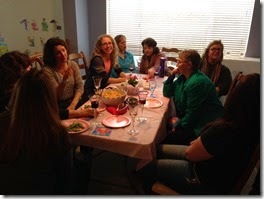 It was an open house, with lots of munchies and good conversation. Fun times! If there’s a camera in the room, you know I’m smiling! Sunday was another grey and foggy one. I’m so completely over this weather, you have no idea! But the run doesn’t wait for the sunshine, so out I went with ten miles on the schedule. 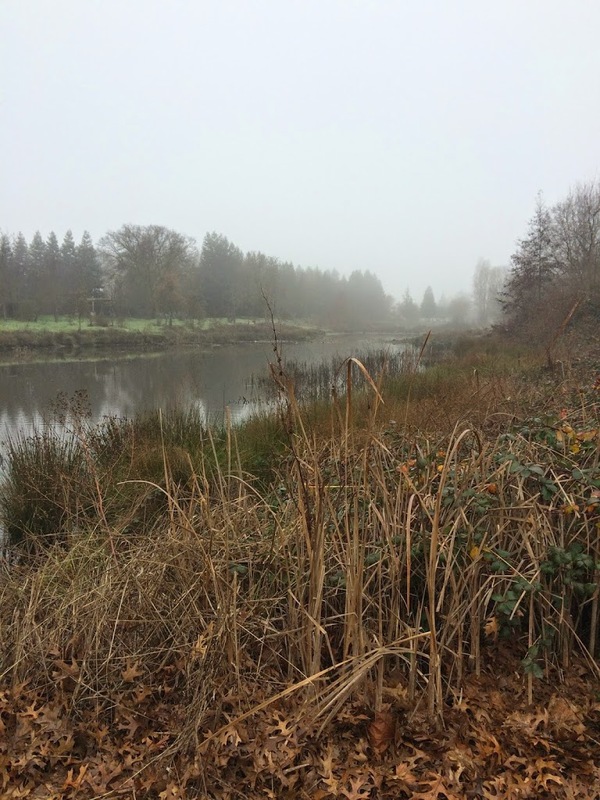 The creek covered in mist. It was a good run, though nothing spectacular. 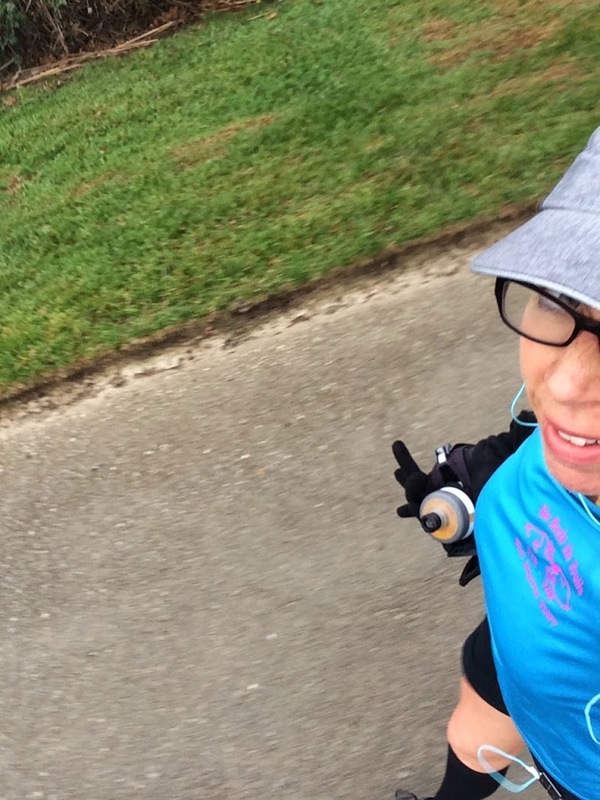 I kept thinking about last month, when I was so excited to push my distance all the way up to eight miles, and how tough that seemed at the time. Now I’m at ten on a cutback week. I won’t say it was easy, but it also didn’t kick me to the curb the way all long runs did for awhile there. I’m still working on that whole “taking a photo while running” thing. Some of the outtakes are pretty funny! When I got home, I decided that I was really and truly going to be capable of running at least the first race on my projected 2015 schedule, which is the Davis Stampede half marathon on February 8th, so I pulled the trigger on that registration. It felt good and exciting to have that down as a reality instead of a maybe! I’m trying to manage my goals for that race. On the one hand, I totally want to go guns a-blazin’ and run it hard. But on the other, more realistic, hand, I think it would be best to run this one for “fun.” I’m not great at that, so we’ll see. Yikes college? And here I am wigging out about Thing 1 going to hs next year. I’ll probably need a walker by the time she gets to college. Wow your half is coming up fast! Glad to find you in the linkup. I say home again, home again, jiggety jig all the time! Ha!! 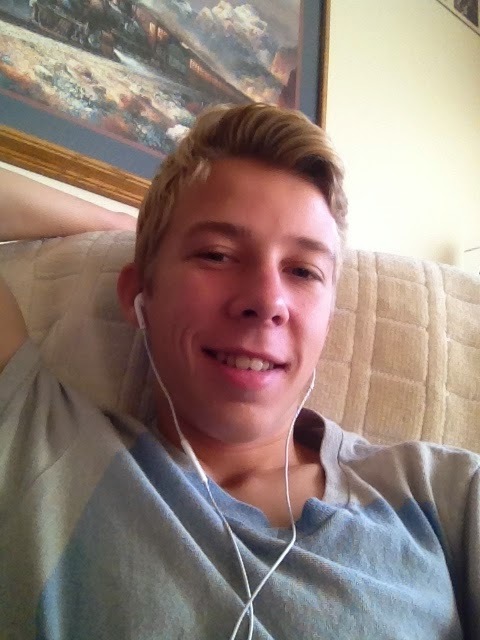 I have my second son going to college next year. (Don’t blink!) Good luck on your first race of 2015! My daughters are in kindergarten. 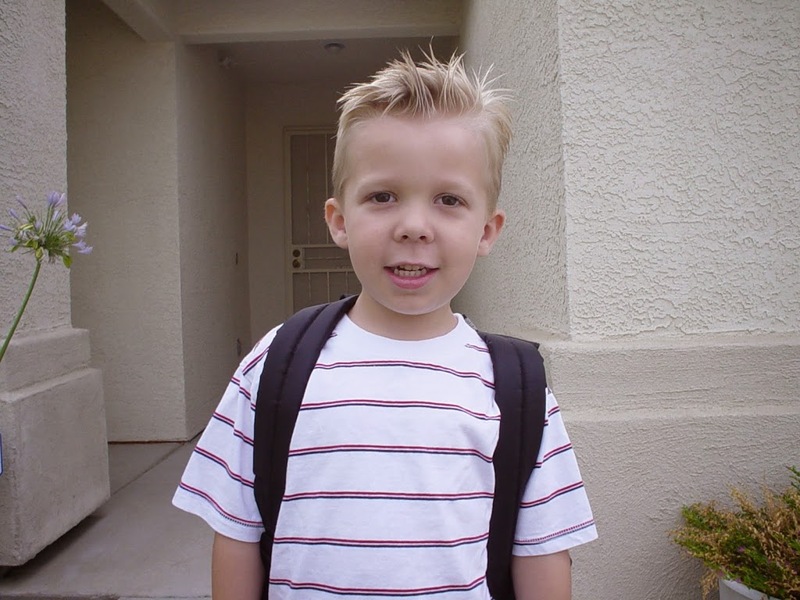 I can NOT begin to fathom what it must feel like to have a child almost off to college! I’ll probably lose it! Congrats on a great weekend of running! I guess when you blog like 4x a year you have no idea what a blog linkup is. I’m about the dullest person alive :). My twins are freshman in college this year…freaky. And lonely. But it’s a good loniness freakout! Good luck with the search. And the upcoming half (but I’ll check in on ya before then :)).